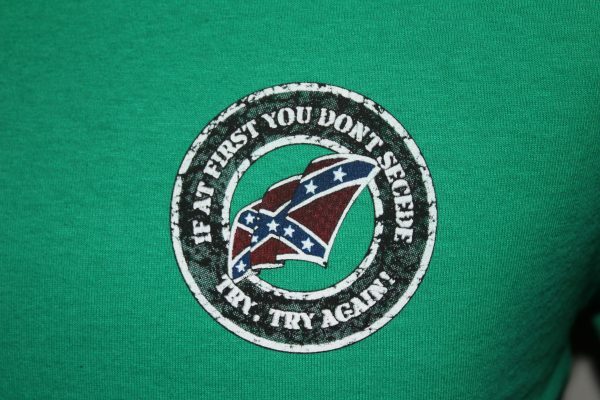 At First If You Don't Secede is a two sided print in green. 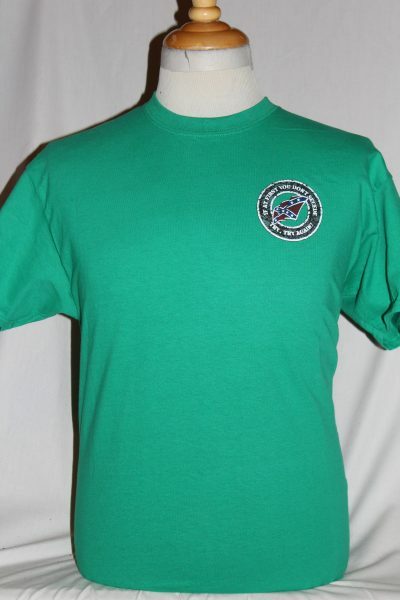 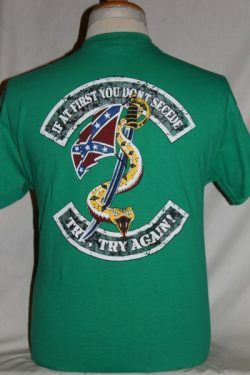 Front design is a left chest small Confederate flag surrounded by text. 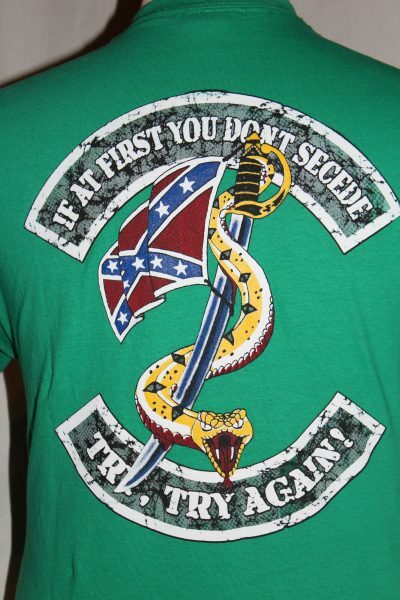 Back design shows a large Confederate flag , sword, serpent, and text.